Packtin recovers from food industries their by-products, such as orange, apple and tomato peels, spent sugar beetroots.  From these by-products we extract bio-polymers and active compounds for the creation of supplements, biodegradable packaging, edible coatings and ingredients for food preservation and safety. Our products are innovative and eco-friendly, they guarantee an increase of shelf-life and safety of food. Packtin is a project based on circular economy and it was born as a spin-off of the University of Modena and Reggio Emilia. Our main goal is the revaluation of food waste and by-products as well as their conversion into innovative and environmental friendly products. There are at least 3 challenges that Packtin wants to face, thanks to our innovative business model. Firstly, we want to decrease food waste; secondly, we want to save materials and energy during the packaging disposal; lastly, we want to start a virtuous cycle which uses materials of natural origin. 20% of food waste occurs during processing, storage / transport: by increasing the shelf-life of foods, we can reduce this fraction of waste. The natural molecules that we extracts showed a positive impact on the preservation and protection of fresh foods with short shelf-life. Our products anable tomantein and extend the shelf-life guaranteed by synthetic polymers. Nowadays, the packaging process needs to address the issues of the reduction of environmental impact, the preservation of food shelf-life and quality, and the compliance with regulations. Our effort of continuous research and experimentation perfectly fits in this scenario. We get inspired by the real needs of our customers to improve our analysis and the production processes. In this way, we want to develop new ideas and customized solutions on the one side; on the other, we offer products with high added value and high qualitative standard. Customer’s need: Find innovative solutions for the preservations of different food matrices be stored at 4° C.
What we did: Development of ingredients, techniques and technologies suitable to guarantee an extension of the shelf-life. Improving the microbiological and organoleptic properties of the foods. Obtained results: Improvement of microbiological control of food matrices with consequent improvement of the shelf-life and of food safety. 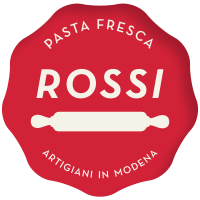 Customer’s needs: Enhancing the preservations of different types of filling for fresh pasta and of the texture of the puff pastry, always guaranteeing the same quality standard. What we did: we are currently studying the kinetics of the bacterial growth in the filling. Once we will finish this first step, we will test different combinations of fibers and active compounds to optimize the final formulation. Customer’s need: increase the shelf-life and preserve the color of beef minced meat in skin packaging. What we did: evaluation both of the bacterial growth and the discoloration of meat, compared with different formulations containing fibers and active compounds, extracted from natural matrices. Obtained results: three different products were developed, based on the analytic results. · Development of a clean label ingredient for the European market; it maintains intact the colour of the minced meat, during the fridge conservation. · Ingredient that maintains the clean label; it has an antimicrobial function which extends the shelf-life (i.e. 30 days in the fridge). · Preservative for the Extra EU market: it has an antimicrobial function, even more specific, which increments the shelf-life of the product up to 40 days at fridge temperature. Customer’s need: slow down the ripening process of the tomatoes and protect them from molds and spoilage. What we did: we developed a natural coating acting as a barrier to ethylene, thus slowing down the ripening of these climacteric fruits. Natural extracts with antifungal properties were added to the coating formulation. Trials performed on a particularly precious cultivar of tomato showed that ripening occurred 10 days later, and the fungal infections were significantly reduced. Obtained results: further tests demonstrated that the coating, initially developed for tomatoes, is potentially applicable to different fruits and vegetables, being particularly effective on climacteric fruits. The formulation and application of this coating is currently under patenting process. We will use as raw materials what many people would consider food waste, in order to extract natural substances for food preservation and packaging. Our solutions help the food industry to become greener and more sustainable. Since they are made of natural compounds, our products are safe and healthy for consumers.